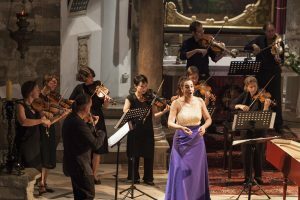 On the Croatian island of Korčula, prominent Croatian and international ensembles and soloists specializing in baroque music perform in Korčula’s convents, churches and cathedrals. This year, ensembles such as the European Union Baroque Orchestra and solists such as countertenor Leandro Mariotte (Italy) will perform in the late medieval architecture alongside Croatian vocal ensemble Antiphonus and the Croatian Baroque Ensemble. Osmodrama is a festival of storytelling with scents, at the heart of which sits a machine called the Smeller 2.0. This organ-like instrument uses pipes to waft scents in particular sequences, and was made by interdisciplinary artist Wolfgang Georgsdorf. Orchestral Whifftracks is a small chamber concert in which the Berlin Improvisers Orchestra performs alongside Smeller 2.0, responding in real time to a programme of evocative scent sequences. 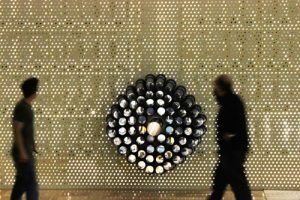 Art, technology and society are the three pillars of this annual festival, hosted by the Ars Electronica Centre. 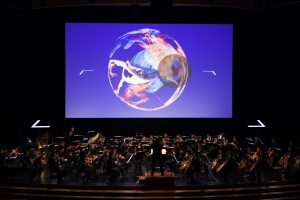 Sunday is Big Concert Night – during which orchestral music and digital sounds intermingle with live electronics and visualisations – while Sonic Saturday and Music Monday also offer plenty for aficionados of digital music and sound art. Events take place across the city, with past venues including a network of subterranean tunnels, a monastery and a tobacco processing plant. 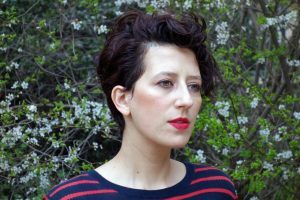 Sound artist, vocalist and composer Alessandra Eramo presents Solo for Voice and Electronics, a sound collage of extraordinary vocal techniques and urban and industrial soundscapes. In this immersive performance, the classically trained singer interweaves her voice and sound poetry using pre-recorded sonic material, microphones, voices and unknown languages, field recordings, theremin, and magnetic tapes. This intimate new show from Circa brings together the magic of a beautifully played piano, the classical canon and world-class acrobats. The premise of Reclaimed Pianos is that these instruments each have plenty of stories to tell, from classical recitals to family singalongs. The music is layered with a soundscape of local voices, and at the heart of the show is a guest appearance: a piano sourced from the community. The Berg Orchestra is a star of the Czech music scene, known for combining contemporary music with other arts and performing in non-traditional venues. Re-Zonance is a collaborative project with the contemporary dance troupe 420PEOPLE: it features music by Jan Trojan, choreography by Nataša Novotná, and the world premiere of composer Jan Sikl’s On Trees and People, a performance with metal sheets, old loudspeakers and pingpong balls. Multidisciplinary arts and music festival in/future is staged at Ontario Place, three artificially constructed islands on the shore of Lake Ontario in downtown Toronto. A highlight this year is Silo Solos, a site-specific installation presented by New Adventures in Sound Art. The acoustics of the snow silo were utilised by sound artists and musicians Wendalyn Bartley, Anne Bourne and Lisa Conway to create a unique set of performances, which were recorded and will now be played back into the silo. Taking place in locations across Vienna, Unsafe+Sounds Festival showcases unconventional forms of sonic expression. 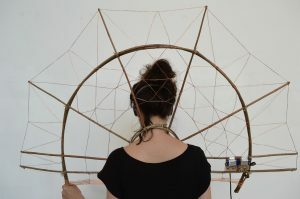 The radical programme includes projects such as Magnetoceptia, a series in which interdisciplinary collaborators Dewi de Vree and Patrizia Ruthensteiner don specially designed wearable antenna receivers which pick up electromagnetic fields from their surroundings and translate them into electronic sound. The Fringe Festival returns to Cape Town with two weeks of music, drama, dance, comedy and performance art. 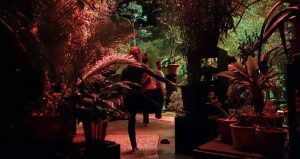 Highlights include We, The Transposed, an installation by Darkroom Contemporary Dance Theatre and sound artist Mischa Mathys. Inspired by the multicultural community of Johannesburg, the work questions what it means to be from any given place. 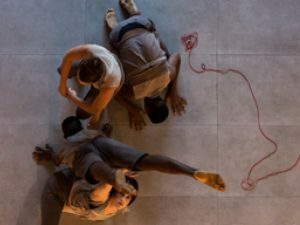 Mathys’ installation consists of sampled sound events recorded within the Johannesburg CBD district, while the dancers move in response to the contrapuntal composition. For 40 years, this avant-garde performing arts festival has delivered a multidisciplinary programme of music, theatre, dance, film, art and literature in unusual venues: past locations have included abandoned factory buildings, swimming pools and underground mine tunnels. 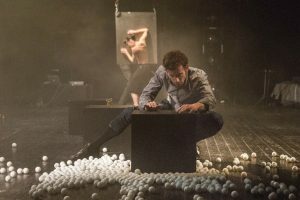 Featured artists this year are French theatre wizard Philippe Quesne, Congolese-Austrian choreographer Elisabeth Bakambamba Tambwe, and American artists Steffani Jemison and Justin Hicks.